$6.50 for 13oz at Goode Co. 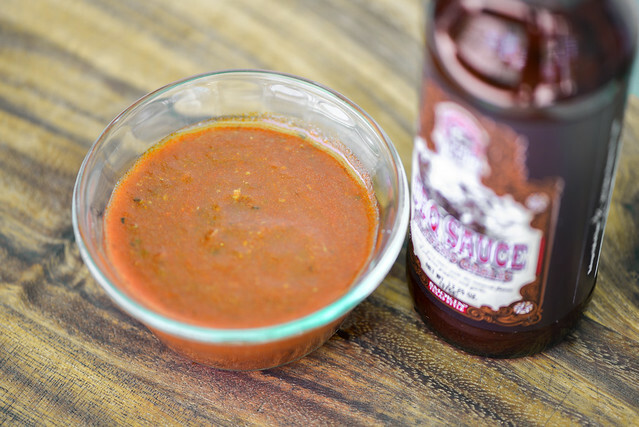 The strong bite of garlic is added to the fresh tomato sauce flavor of the Goode Co. sauce, but I was left trying to figure out where the jalapeno was and what barbecue I'd actually want to put this on. As has become my late December tradition, I spent my Christmas through New Years with the in-laws in Houston. 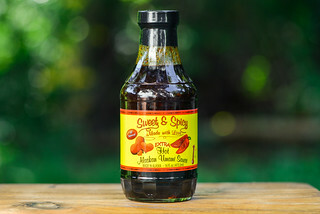 While chowing down on Texas smoked meats while down there, I realized I still had a bottle of the Houston-based Goode Co. BBQ sauce sitting in the fridge waiting for a review. While Goode Co. may not be my go-to barbecue joint in Houston, it's long history that started with Jim Goode and Joe Dixie opening on Kirby Drive in 1977 leaves it ingrained in the barbecue culture there, and we often find ourselves stopping for some jalapeno-cheddar links whenever we drive by. Now the Goode Co. name adorns more than barbecue restaurants, spanning out to seafood and Mexican joints as well. Much like the original sauce, this one starts out with a very fresh tomato aroma. In contrast though, garlic was only a background note in the original, while it's an equal partner with the tomato here. The garlic is so strong that it actually overtakes most of the other aromas, with just a hint of onion and smoke coming out from behind the wall of garlic. 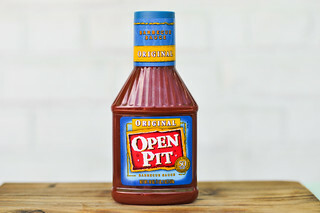 In the arena of appearance, not much distinguishes this from the original sauce. It retains its bright orange/red hue, medium-thin thickness, and chunky texture thanks to lots of bits of veggies. Large and small specs of spices can also be distinguished here. From a suspended spoon, the sauces falls quickly in a chunky pour, leaving only a thin strip of sauce left clinging to the edge of the silverware. 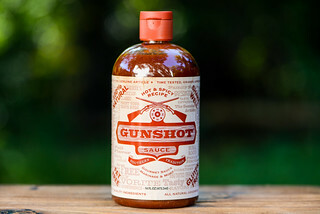 If you want garlic, this sauce delivers big time. The fresh tomato sauce flavor of the original is still there, but the garlic hits strong and keeps packing a punch from start to finish. There's a mellow vinegar tang and bit of onion that can be picked up as well. The smoky and meaty flavor of bacon is pretty present though, and creates an odd contrast with the freshness of the vegetables. One thing I didn't really get out this sauce was jalapeno—its fruitiness may have gotten lost against the tomato and garlic, and only a very mild heat at the end hints of any pepper at all. 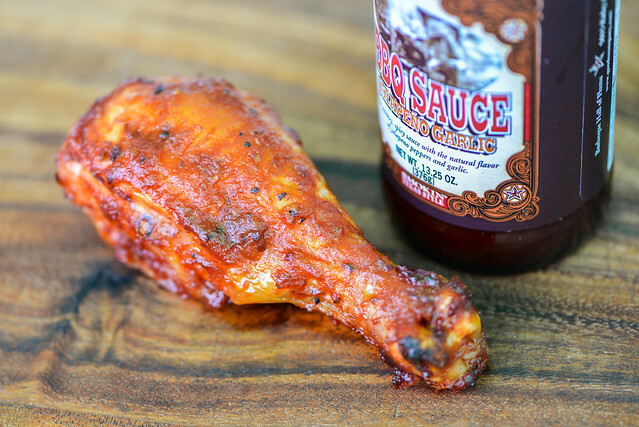 This sauce coated the chicken ok and baked in well enough over indirect heat. Over direct heat I saw a lot of burn off, which required a little touch up sauce at the end. After being cooked, that strong garlic flavor was subdued, but so was everything else. That bright, fresh flavor out of the jar was lost and the balance of fruity, sweet, and tart was thrown into overly acidic territory. Although the flavor was mellow, it was enough to make the chicken leg rather unappealing. If you read the suggested use of Goode Co. Jalapeno Garlic BBQ Sauce that's on the jar, it never recommends using it as a grilling baste. So maybe I need to cut it some slack in the grilling category, but I still can't see myself wanting to use this on my barbecue. While I could appreciate the fresh flavor of the original sauce, it still tasted like it was more destined for pasta than barbecue. The Jalapeno-Garlic combo just kind of made things worse by adding too much garlic in my opinion, and not enough jalapeno to deliver the heat you might expect it to have. 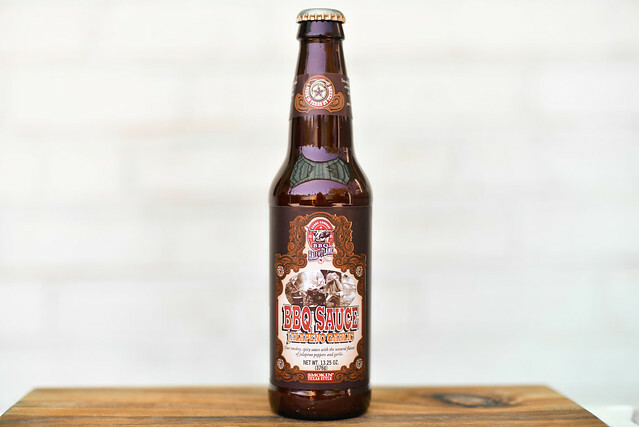 Thinking back to my experiences at Goode Co., I don't think I've ever reached for sauce to adorn my plate of smoked links—they don't need sauce, and that's probably a good thing considering my experiences with Gooode Co. sauces to date.